However things started to look up when we were offered a room in doors for our picnic and nine RASAG members turned out to help with the cooking and cleaning – which was brilliant! Some of the spread and the first lunchers! 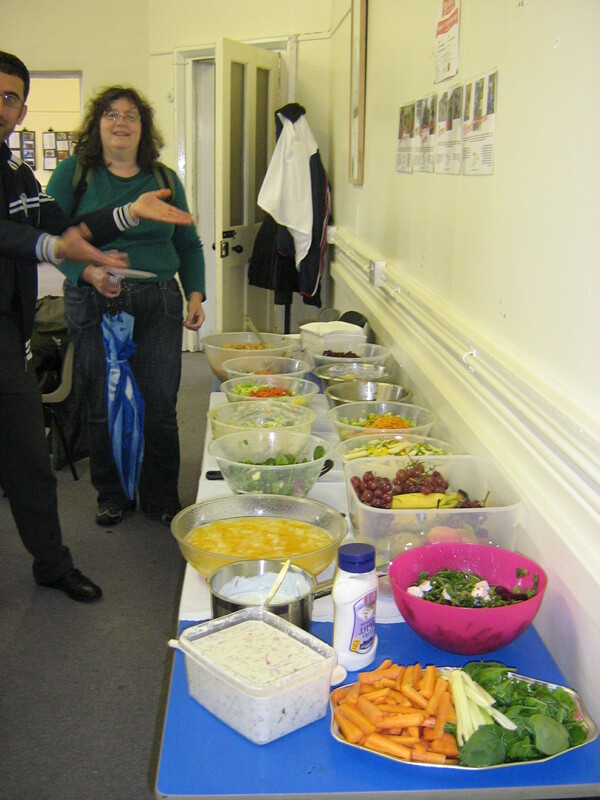 We were also supported by some of my Learn For Life ESOL learners who brought along food and leant a hand. There were queues out of the door and the room was full! 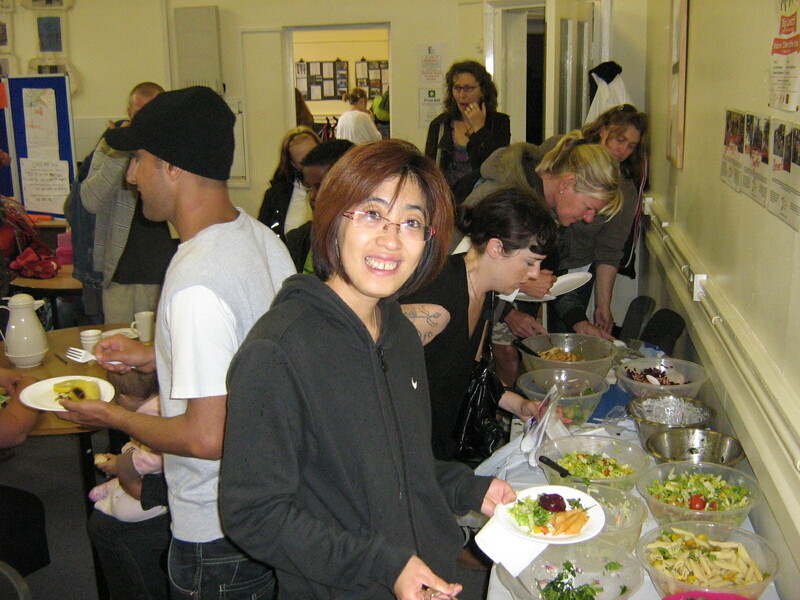 Everyone enjoyed the food and after an hour and a half it was all gone – we think we fed about 200 people! we put the Legends display up in the room and we got lots of feedback about that. Everyone had a great day – another successful RASAG event! 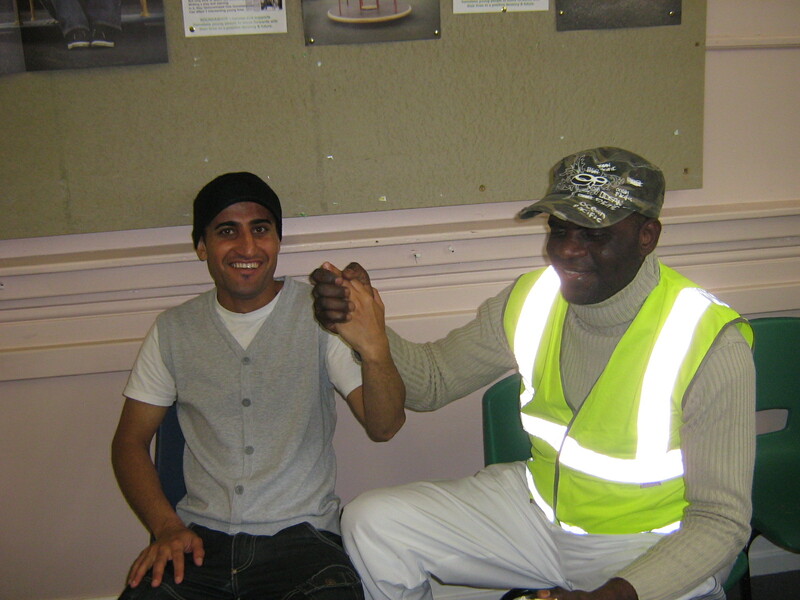 City of Sanctuary and Roundabout Homeless Charity had displays at the event and it was great to see Side By Side performing Communicatease again… This was a very successful case of refugee and asylum seeker activities being combined with a wider community event… The RASAG aim in action! Would it be ok for me to feature this in the August edition Sharrow Today?